Finely crush/chop garlic and lemon grass. Leave veges to marinade overnight if possible. Thread veges onto kebabs and cook on bbq. Wrap tortillas in foil and place on bbq 5-10 minutes, turning parcel 1/2 way through cooking. Baste veges with remaining marinade from dish, as you go. 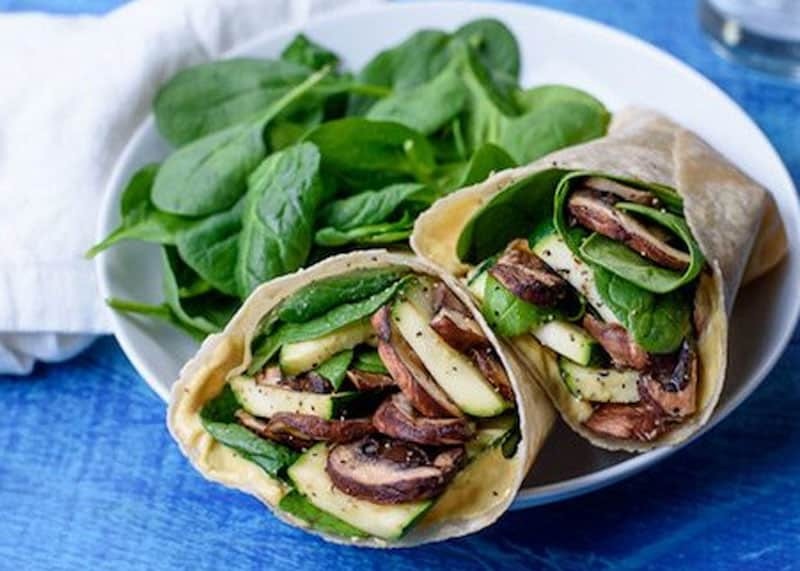 Then when cooked slide veges off kebab sticks onto tortillas, layer with spinach and wrap.